Kurlee Belle: Hair Braiding: Should it Require a License? Braiding is an African tradition. I remember as a little girl, sitting on the floor of my aunt's house as she braided my hair. My braided style would last about two weeks and then I was forced by mom to redo it. It was a painful experience because I was "tender headed" and my eyes were always slightly slanted after she was done. The braiding process saved time in getting dressed and my mom never had to worry about doing my hair. Another benefit was that my hair was protected and it grew faster because of this. As I got older, I transitioned from regular braids to box and micro braids. Box braids were my favorite because they looked edgy and took about three to four hours. Micro braids were more versatile, lasted longer but took about eight to ten hours to complete. Since I have been natural, I have not revisited the braided hairstyles because of the time it takes and the damage it did to my hairline. Today, the trend of box braids is BACK! Stars like the Knowles sisters ( Beyonce & Solange) were recently spotted rocking their long back to the future braids. Hair braiding is an African tradition that is more of an art than a skilled that can be learned. In an African American or black community, everyone knew who had the baddest hair braiding skills on the block. 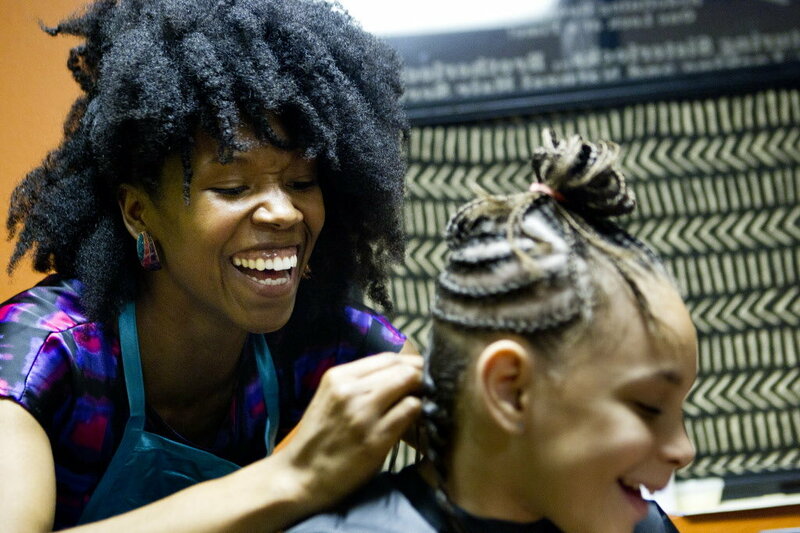 A recent law was passed in Oregon requiring that all hair braiders must have a cosmetology license. Veteran hair braider Amber Starks is challenging the law stating that "braiding is a way for African-American women to start to feel comfortable with wearing their hair naturally, without chemicals." The cosmetology license requires 1,700 hours of beauty school and $10,000. Do you think hair braiding should require a Cosmetology license or is it considered art expressed on an individual basis? I think those requirements for obtaining the license are ridiculous! !